What a great thing to remember...God has his eye on us and He has some design plans for our lives! At times I think to myself, "I know that there is a reason for everything but sometimes I wish I knew what the reason was!" He knows the best way to get all everything he placed in me out and into the world to glorify himself. So my role is simple: let him do what he desires with what he made...ME! I love the line in this text about getting our hopes up. I used to be the type of person that always expected the worst so that when anything but the worst happened, it seemed good. All that caused me was a great deal of time expecting no good things. In Christ we find out who we are and why we are on the planet. We find purpose. We find meaning. He has His eye on you. He has a design for your life. That should bring our hopes high because we are completely aware of the fact that He is watching and He is orchestrating the plan. Right now, he is working out that plan for you in everything and everyone. 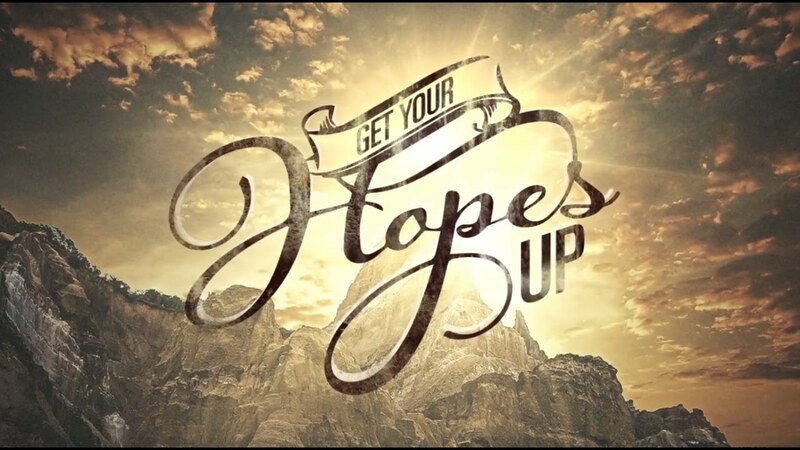 So go ahead...get your hopes up!